I can guarantee you that just about everyone has a basic knowledge of Microsoft Windows, or owns one or more devices running it as the Operating System. But how many know about Bill Gates? Or Paul Adam? Those who came together to form the partnership of Microsoft. Through this article I will endeavour to give a satisfactory understanding of the company's origins. William Henry Gates III, more commonly known as Bill Gates, is the multibillionaire co-founder of the company Microsoft. Born October 1955, his father an attorney and mother a teacher, Gates grew up in the exclusive preparatory school Lakeside School in Seattle, Washington. It was here in 8th grade that his interest in programming broke through and he begun to develop his skills. After finding bugs in software, Bill, Paul (Also a student) and two others were hired by Information Sciences Inc. to debug their software. By 1973 he graduated with 1590 marks out of 1600 on his final exam. With these good results he enrolled at Harvard College where he did not have a definite study plan. Instead he spent most of his time on the schools computers. By the summer of 1974 though, he decided, along with former classmate Paul Adam, to start a new partnership called Microsoft which would produce computer software. His first target would be Micro Instrumentation and Telemetry Systems (MITS) with their soon to be released microcomputer, the Altair 8800. Because of this Bill dropped out of Harvard College the following year. In January of 1975, after reading an issue of Popular Electronics featuring the Altair 8800, Bill rang MITS, the company developing this computer. In this call he said that he had developed a version of BASIC (A simple high level computer language interpreter). The call was successful and MITS President Ed Roberts agreed to meet them for a demo. Having not created a program as such, they; Gates, Paul, and their crew, spent the next few weeks developing a version of BASIC for the Altair. After a successful meeting with MITS, the company decided to use their software version of BASIC and hired Allen. At this point Gates took leave from Harvard, then later dropped out. It was soon afterwards, on November 26th 1976 that the name Microsoft was registered and they became independent of MITS, developing software for various computers. In the middle of 1980 Microsoft was approached by IBM regarding its upcoming computer. After IBMs unsuccessful negotiations with the company Digital Research, makers of an already recognized operating system (OS), Microsoft was asked to make one. In response they bought rights to and altered the 86-DOS to suit IBM's system. 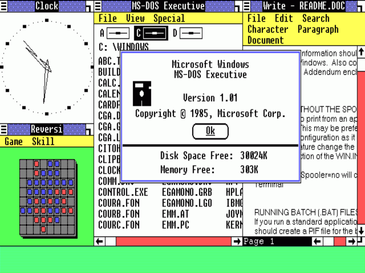 After selling this program to other companies, Microsoft became a major OS developer. 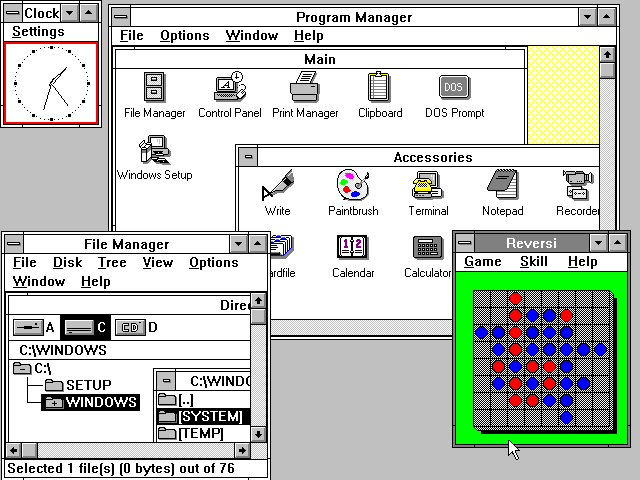 It soon had its first 'Microsoft Windows' OS, V1.0, out and with the 1985 development of OS/2 for IBM the two companies partnership began to deteriorate. In summary, Bill Gates, interested in computers since his early years, along with past schoolmate Paul Adam, formed the company Microsoft . Together after various business successes with companies such as MITS and IBM, Microsoft became a major operating system developer. Nowadays most people would not know what to do without their widely used operating systems.